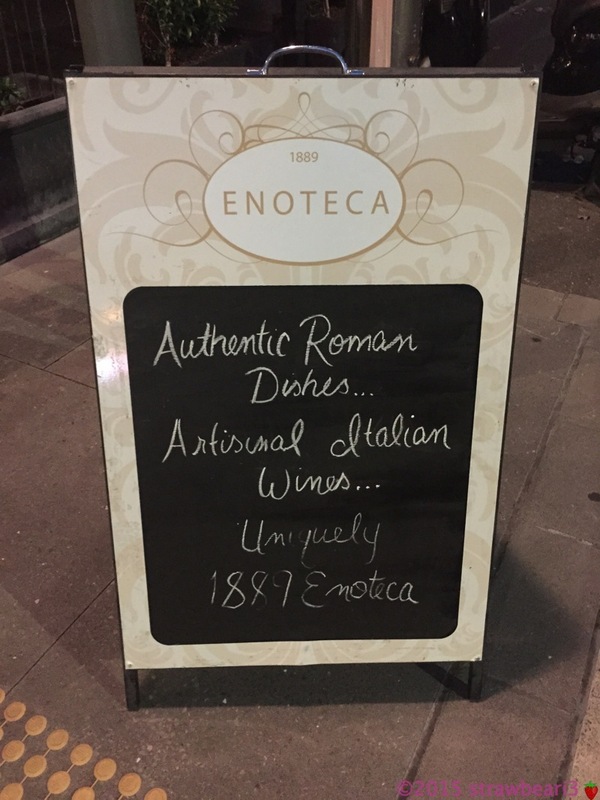 1889 Enoteca prides itself on its Roman cuisine and extensive wine list. 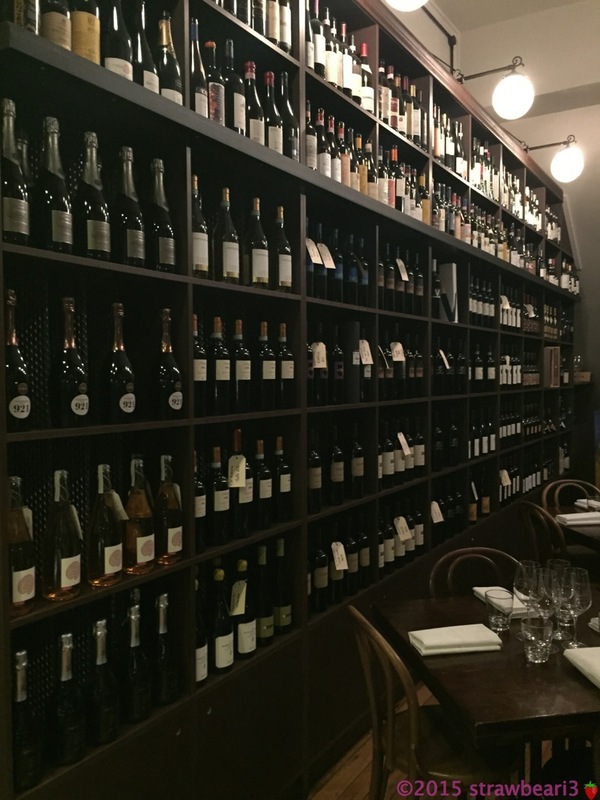 While wine is not my thing, I couldn’t turn down an Italian meal and a night out with the lovely Supper Club ladies. It has been a while since I had a fine meal so I decided to give myself a little treat. 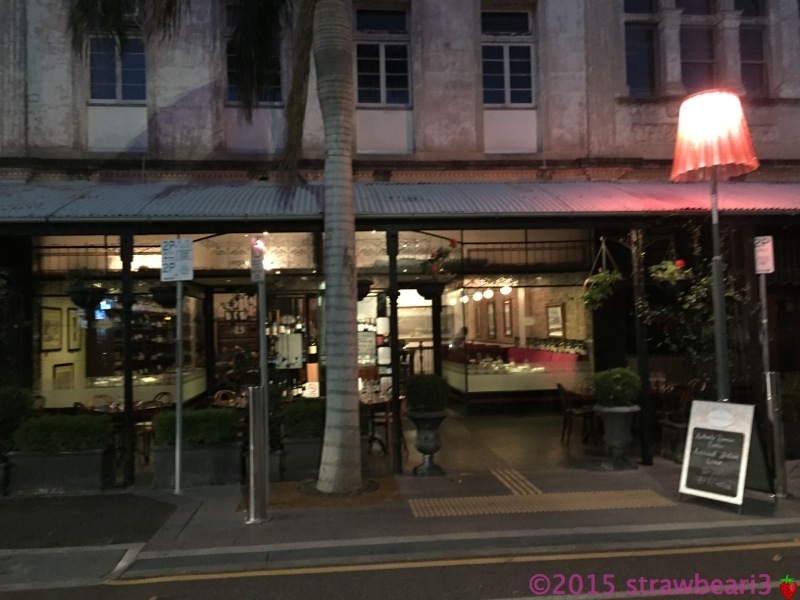 Located in a heritage-listed building in a small street among other antique looking shops, we felt as if we were transported back to the past (in a good way). 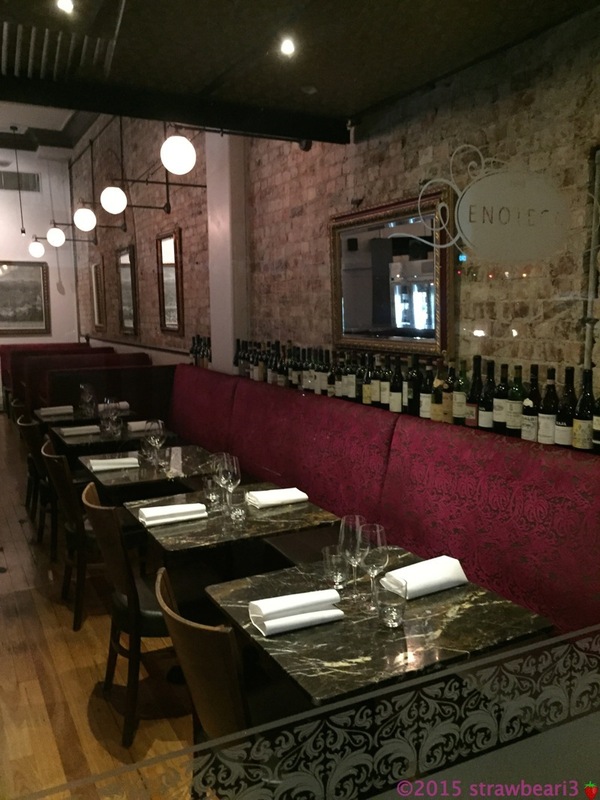 My overall impression of the place was that it was relaxing yet classy. The friendliness of the waiters helped in making the night more enjoyable. We started with a shared entrée of Fried Zucchini Flowers, Mozzarella and Anchovy ($20 for 2). 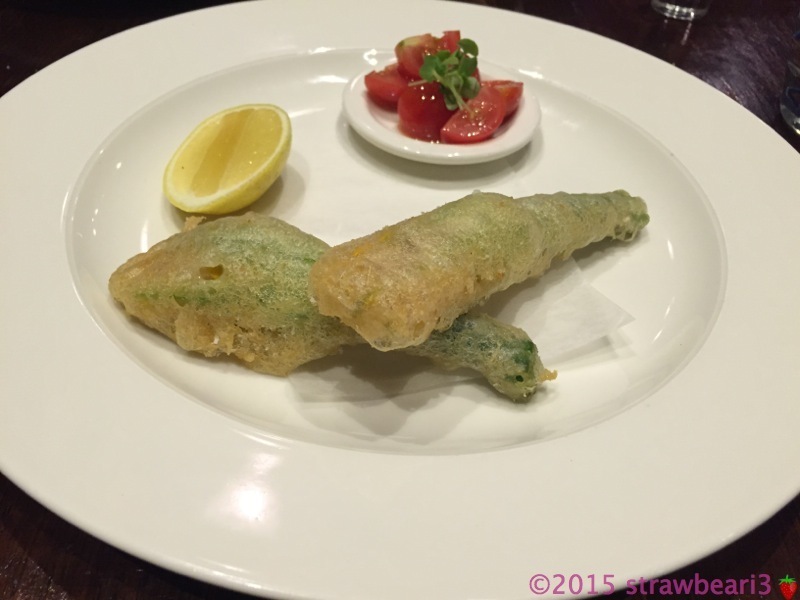 The zucchini flower was lightly battered and fried. The blandness of the zucchini was lifted by the salty mozzarella and anchovy. Even my friend who didn’t like anchovy ate the whole thing. For mains I ordered Tagliatelle with Prawns, Chilli, Garlic and Chives ($26). It was served with two big prawns on the top. 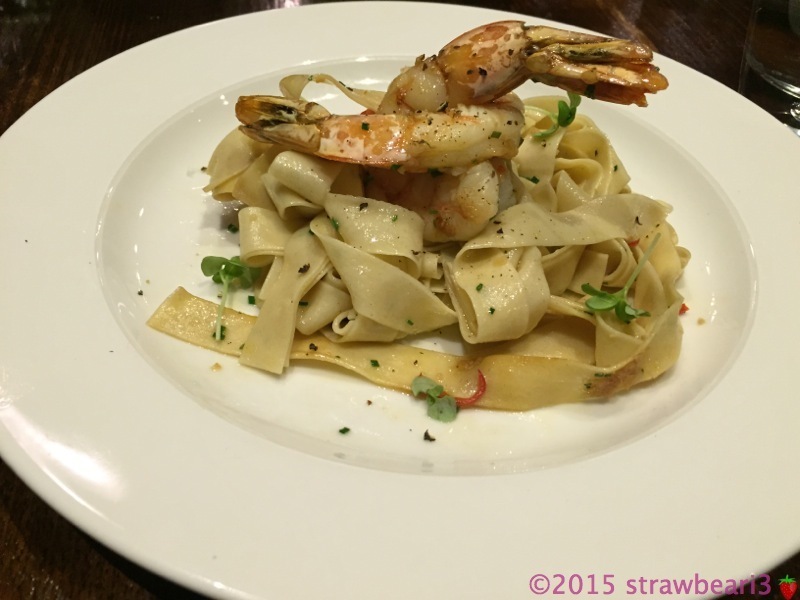 Although the tagliatelle looked a bit plain it was very well-seasoned and tasted delicious. I only wished there were more chilli on the plate to give it a bit more kick. 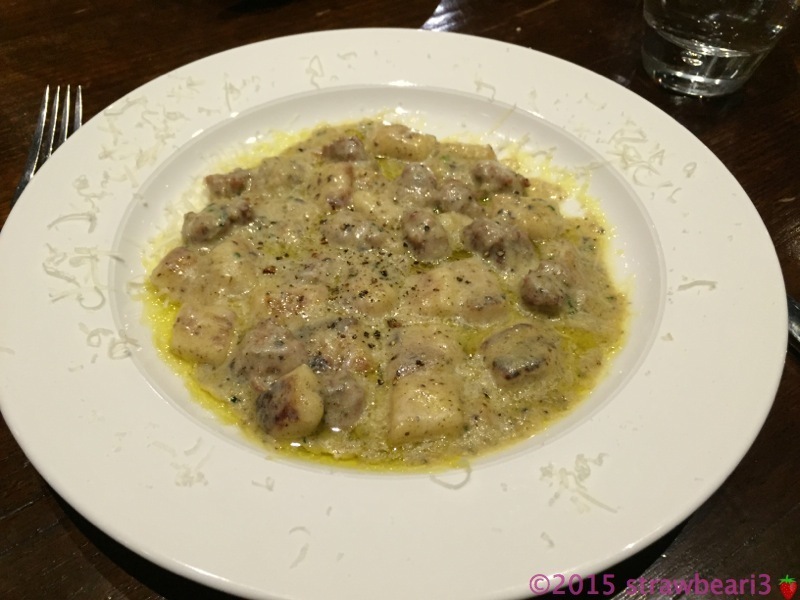 One of my friends ordered the Potato Gnocchi with Pork & Fennel Sausage and Black Truffle Tapenade ($25). I tried a piece of gnocchi and really liked it. It was light and fluffy as how gnocchi should be, not starchy and gluggy. The black truffle sauce was delicious too and I might order this dish next time when I visit the restaurant again. 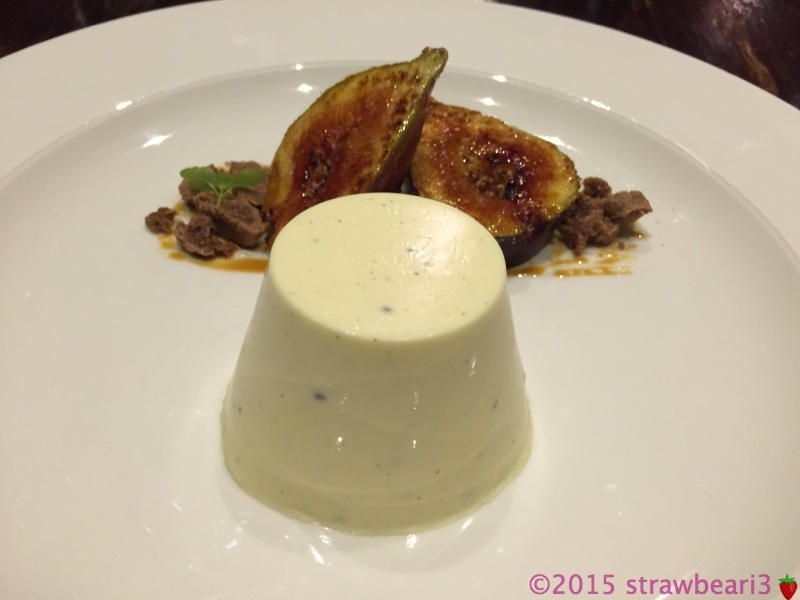 For dessert I had the Vanilla Pannacotta with Caramelised Fig and Chocolate Ameretti ($15). I have never ordered pannacotta for dessert in the past, but since it was the least ‘sweet’ option on the menu, I decided to try it out. It was lightly wobbly, not too soft or too hard, just perfect. 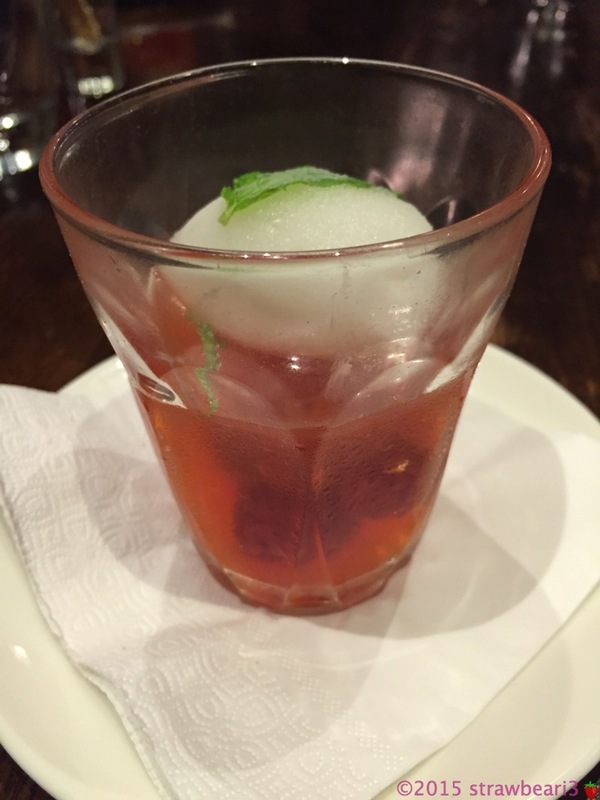 The other ladies ordered the Aperol Jelly, Raspberries and Prosecco Sorbet ($15) and commented that they really enjoyed the sorbet.